Part of my cleaning out the studio sale! 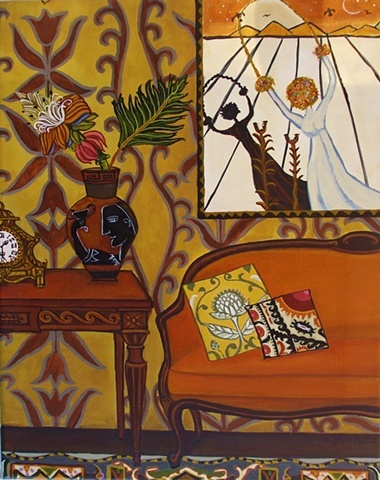 30% off Originally 395.00 This painting was inspired by a rug a saw with a Salvador Dali image. I am loving these colors together along with the Grecian influences. This is an original painting. The sides have been painted so no frame is needed. To purchase this painting click the price which will take you to PAYPALS.